Nearly two months into the legislative session, the scene at the Statehouse remains unusually slow. Next spring, if Gov. 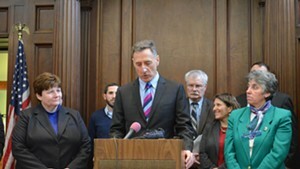 Peter Shumlin gets his way, the legislature will vote on a historic, expensive and politically perilous bill to finance the governor's long-sought goal of providing universal health insurance. But to get there from here, he'll need a legislature that has his back. 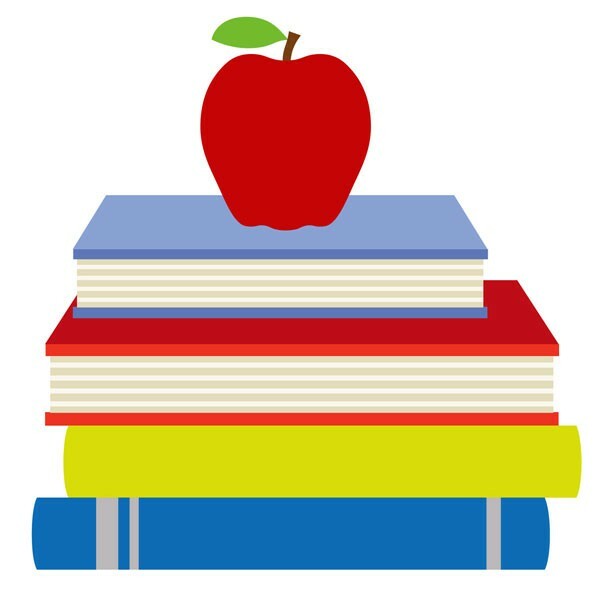 That's why the state's biggest union — the Vermont-National Education Association — pledged last week to reinvigorate a dormant political advocacy group called Vermont Leads. "Vermonters already support the creation of Green Mountain Care," says Vermont-NEA spokesman Darren Allen. "Our goal is to let lawmakers and the governor know there's support for what they're doing." They might need to hear it. After last fall's rocky rollout of Vermont Health Connect — a byproduct of the federal Affordable Care Act, or Obamacare — some lawmakers may be hesitant to follow through on yet another major health care overhaul. "I'm concerned that there's not as much support for this as you might hope, but it's still early in the discussion," says Peter Sterling, a veteran health care activist who recently resumed his duties as executive director of Vermont Leads. "My biggest worry is that the entire discussion becomes about a tax bill, as opposed to, 'What does this tax bill do for Vermonters?'" Along with losing the faith, Vermont Democrats could also lose some seats this November. The long-moribund Vermont Republican Party appears intent on recruiting better legislative candidates than usual, earlier than usual. State GOP political director Brent Burns says the party's already signed up six challengers to run for the Senate — including former party chairwoman Pat McDonald in Washington County and 2012 runner-up Dustin Degree in Franklin County — and 22 for the House. "For the financing plan to be passed in the next legislature, [Democrats] have to hold their ground or increase their majorities — and that is severely under threat," says Vermonters for Health Care Freedom founder Darcie Johnston, a staunch opponent of single-payer. "That's why you're seeing these big, out-of-state unions step up to protect this agenda." In fact, those unions haven't ponied up all that much — at least, not yet. As Vermont Public Radio's Peter Hirschfeld first reported last week, the Vermont-NEA's parent organization dropped just $80,000 to fund Vermont Leads for the next six months. It also paid $35,000 for a poll to gauge popular support for single-payer. "We fully expect other groups will lend their support to this effort," Allen says, adding that his organization has had "conversations" with other unions about funding the effort. One hint could be the recent addition of George Lovell to Vermont Leads' board. Lovell serves as Vermont coordinator for AFCSME Council 93, which won an election last summer to represent more than 7,000 home-care workers. In September, he was elected president of the Vermont AFL-CIO. Lovell says it's "too early to comment" on whether AFSCME or the AFL-CIO will invest in Vermont Leads this election cycle. But, he says, "I can tell you there's lots of support." Ironically, it was AFSCME's unsuccessful opponent in the race to represent home-care workers, the Service Employees International Union, that actually founded Vermont Leads. As it geared up in the summer of 2012 to fight for legislation allowing those workers to organize in Vermont, the out-of-state SEIU created the group to curry favor with local lawmakers. It spent more than $100,000 on pro-single-payer advertising that summer and another $50,000 that fall supporting candidates through an affiliated political action committee. After the SEIU lost its organizing bid, the union left the state and Vermont Leads went dark. Sterling says he expects Vermont Leads to relanch its PAC, which could operate as an independent, expenditure-only "super PAC," as it did last year, allowing it to raise unlimited sums from a single source. That could turn out to be a very big deal if Democrats and Progressives face more than token opposition this fall. Or if deep-pocketed single-payer opponents — such as Burlington mega-donor Lenore Broughton or out-of-state business groups — try to stop Vermont before it becomes a national example. If the unions save the day, you can bet they won't let their friends in the Statehouse forget it. When Shumlin delivered his budget address last month, the governor promised for the umpteenth time that he would not raise broad-based taxes this year. Of course, as reporters — and defenders of the English language — are fond of noting, "broad-based" doesn't actually mean "broad-based" in governor-speak. While the Oxford English Dictionary defines the term as "wide-ranging; general," Vermont governors past and present have limited the definition of "broad-based taxes" to those targeting income, sales, rooms and meals. And so it was that Shumlin felt he kept his promise last year, despite supporting a gas-tax increase most Vermont drivers surely felt was pretty broad-based. And so it is this year, now that Shumlin is attempting — for the second year in a row — to plug a hole in the state's health care budget with a $14 million tax increase on health-insurance claims. As Shumlin noted in his budget — but not in his budget address — his administration hopes to double the 0.8 percent tax the state bills health insurance companies for every claim filed. But as critics point out, insurance companies are quick to pass that tax along to the broad-based public, who end up paying higher premiums. "The logic of it doesn't work for us," says Rep. Janet Ancel (D-Calais), who chairs the tax-writing House Ways and Means Committee. "If we're trying to keep health care costs down — and particularly premium costs — why would we want to do something that would increase premiums?" When Shumlin pitched a similar plan last year, Ancel's committee rejected it. This year, she says, "Though we haven't taken a vote, I would say the general feeling really hasn't changed." Robin Lunge, Shumlin's director of health care reform, says it's true that, "On its own, [a claims assessment increase] would create new pressure on premiums because it does get passed on to consumers." But the administration is also pushing to increase Medicaid reimbursement rates to providers by 2 percent, which she argues will reduce a cost shift to consumers that also ends up being pretty broad-based. Enacted in tandem, she argues, the two changes would not hurt Vermonters. Ancel's counterpart in the Senate, Finance Chairman Tim Ashe (D/P-Chittenden), has yet another idea. Ashe released a memo this week with the title "'Fair and Reasonable' for Whom?" in which he argues that a broad base of taxpayers is unfairly subsidizing large employers that don't offer health insurance to their employees. When the legislature created Catamount Health in 2006, he writes, it required that employers pay a "fair and reasonable" amount for every employee to whom it didn't offer health insurance. That rate now stands at $476 a year — less than a quarter of the $2,164 it costs the state to insure each Medicaid recipient. The balance, Ashe argues, is borne by taxpayers. According to data Ashe acquired from the tax and labor departments, the 10 retailers and grocery stores that operate at least one store in Vermont with 100 or more employees pay a collective $904,000 through the employer assessment. Taxpayers foot the remaining $4.1 million billion to insure those 10 companies' employees. If the administration is looking for another $14 million to pay for health care programs, he says, he's more inclined to ask the state's largest employers. "I don't think it's fair," he says of Shumlin's proposed claims assessment hike. "I believe that the growth in subsidized health care shouldn't once again be paid for by all businesses and all taxpayers, but that maybe it's time to look to the non-insuring employers to pay a more fair share of the cost." Could the results of Burlington's vote next week on a trio of charter changes influence the statewide debate over Vermont's gun laws? Two groups fighting on either side of the issue sure seem to think so. Both Gun Sense Vermont and the Vermont Federation of Sportsmen's Clubs have engaged in the Queen City duel, investing money and volunteers to make their respective cases. At issue are three separate resolutions that would ban guns from bars, require them to be stored under lock and key and allow law enforcement officials to confiscate them from those suspected of domestic abuse. Gun-rights supporters say the charter changes, which would have to be approved by the legislature and signed by the governor, would shoot a hole right through a 1987 state law barring municipalities from restricting gun rights. "This is such an incredibly slippery slope," says VFSC acting president Chris Bradley, who worries that other towns and cities could follow Burlington's lead, thereby creating a "patchwork" of laws. "There is a preemption clause, and there's a reason for it." Gun-control activist Ann Braden, who cofounded Gun Sense Vermont, agrees that next Tuesday's vote "has statewide implications," but for a different reason. "We want to make it clear to the Statehouse that when voters are given the chance to vote, they support this," she says. While Braden's group had hoped to make a serious push for new gun laws this session, it now plans to hold off until next year, when Braden thinks recently reelected legislators will be less nervous about tackling such a hot-button issue. At that point, the group hopes to focus its energies on strengthening the state's background check-laws. For now, between 25 and 30 Gun Sense members are focusing on canvassing and phone-banking in support of Burlington's ballot measures each weekend, according to organizer Marie Adams. The group has raised $1,436 and spent $1,833 on its Burlington advocacy — much of it on advertising, including in Seven Days — according to a recent filing with the secretary of state's office. That's far less than the $20,100 VFSC has raised and the $15,563 it's spent. The pro-gun group has dropped $3,232 on lawn signs and more than $12,081 on radio ads, according to its filing. Notably, one of the Sportsmen's Federation's biggest individual donors is an infamous sportswoman: conservative donor Lenore Broughton, who contributed $1,000 to the cause. The Burlington Free Press has also joined the club, opining against the domestic violence-related charter change in a recent editorial. "The change on the Town Meeting Day ballot is overly broad and allows confiscation without requiring formal charges or proof that the weapons present an imminent threat to persons," editorial page editor Aki Soga wrote. Burlington Mayor Miro Weinberger sees it differently, calling the proposals "important steps to take for public safety in Burlington." But the mayor declined to put the might of his political action committee, called Partnership for Burlington's Future, behind the measures, saying the PAC "was created to advocate and organize on fiscal issues and waterfront investment issues." So far it's spent $5,397 on Burlington's non-gun-related ballot initiatives. Nevertheless, Weinberger says he's been speaking out in support of the gun proposals in newspaper columns and neighborhood meetings, and he says his volunteers will help Gun Sense distribute their fliers this weekend. Because the charter changes would require Statehouse approval, Weinberger argues that passage would initiate an important conversation in Montpelier that could set the table for Gun Sense's proposed universal background check advocacy. "I think that discussion is coming," he says. "I think Burlington having a strong vote on these will impact that policy."